This post got its inspiration from a very interesting article that I read about the starter to get good quality homemade yogurt. To the best of my knowledge, apart from my Indian readers, there is only one blogger who makes yogurt at home and that is Wisewebwoman all the way up in Canada. 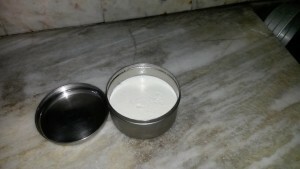 She had shared her experience some time ago and I thought that her yogurt will compare favourably with those that are set every day in millions of homes in India. I personally consume homemade yogurt twice a day when I am at home. Once for breakfast and again at lunch. Both Manjiree and Ranjan love to have it too though not as regularly as I do. I take pride in the quality of the yogurt that I set and it is appreciated by whoever has it at home. Most of the success can be credited to the starter and the rest to some basic rules that all Indian homes follow. I have just improvised on one step which is not very common but very effective. My starter has been in operation for the past 25 years without break. 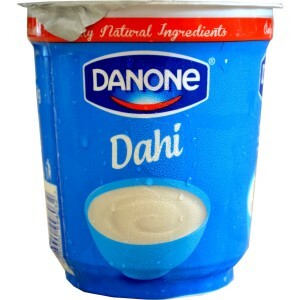 When we moved into this house, I had to borrow the starter from a colleague’s home as we did not have any of our own, having lived off hotel and dairy supplied yogurt for the previous few months when we were living in a service apartment while looking around for a home to buy and move into. The yogurt that was set on that first day started the process which has been going on uninterruptedly for all these years. Like the lady in the article other Indians settled overseas have borrowed my yogurt to take to start their own batches back home and with great success too! My process is simple. I use the same stainless steel vessels to set the yogurt and those vessels are not used for anything else. In the old days, the vessels used to be baked clay pots which produced the most amazing aroma and flavour for the yogurt but that is no longer possible. Here is one such vessel in which you can see the yogurt that I set yesterday morning and which had been in the refrigerator since about noon. I heat up the leftover, stored-in-the-fridge-overnight, milk from the previous day, till air bubbles form along the edge of the milk and transfer the milk to a vessel in which I have already spread two teaspoons of leftover yogurt from the previous day. I stir up the milk and then transfer the vessel after closing it with its lid to a heat retaining casserole. Here is a picture of the casserole with the set dahi before I used the lid. The innovation that I mentioned earlier is the use of the casserole to keep the mixture warm for some time. In most Indian homes, it would simply be left in a warm cozy corner in the kitchen. This trick was taught to me by my god daughter in law Vasuki when I was running a bachelor home in the South of India for a short while. Another trick that I learned from my niece Vandana is to use a full green chilli in the mixture at the time of setting when the milk is lean as in the summer months. It is very effective. A very important step is in washing the vessels in which the yogurt has been set. They should be washed thoroughly in water but not with any kind of detergents. The idea is that the old bacteria from the previous batch may still be available in the vessels. 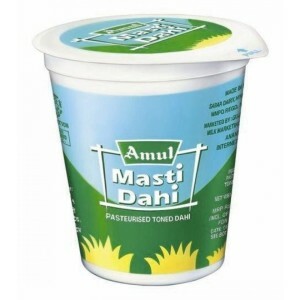 Since I use cow’s milk to set the yogurt, it is not greasy and the vessels do not really need detergents. While I do not normally sweeten the yogurt, added sugar or jaggery and the yogurt will turn out to be sweet after setting. I have done that with success before parties to serve as dessert. 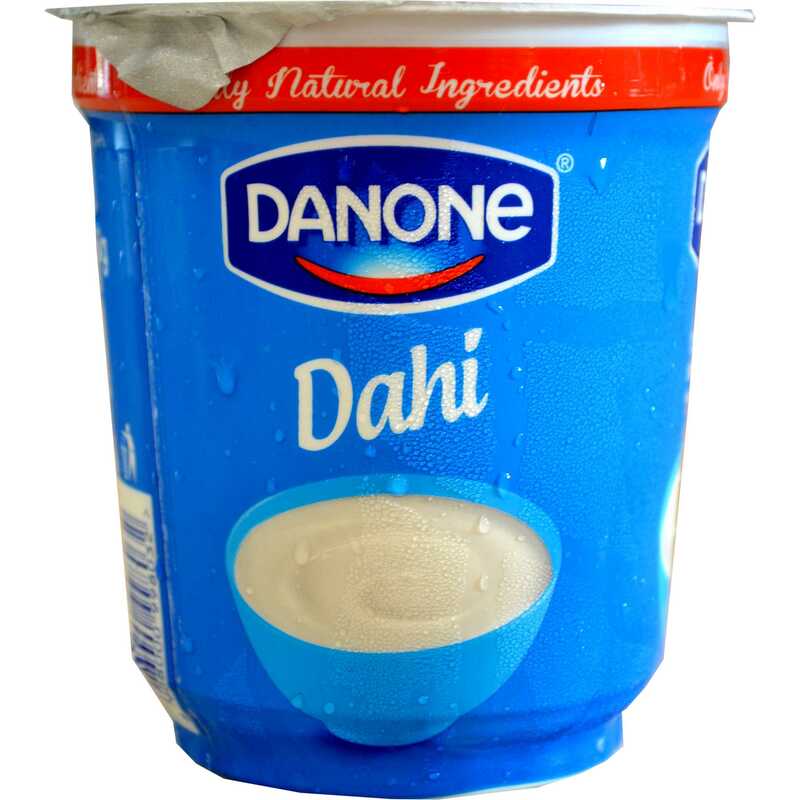 For those who want to come and taste the yogurt that I make at home, please give me a day’s notice as I make just enough for our needs everyday and if unexpected guests arrive, I simply go across to a grocer who stocks packed yogurt, called dahi here, from many companies like these. 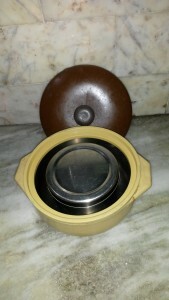 This entry was posted in Blogging, Food and tagged casserole to keep food warm, Jaggery, Stainless steel vessels, Starter for yogurt. Bookmark the permalink. 12 Responses to Homemade Yogurt. Years ago I used to make my own yogurt, but now I buy it at the store. I love it and eat about two cups a day. If I ever make it to your kind of simple living, I will too! It is now the latest fad thing – probiotics! Indians consider a mixed yogurt as abominations! The most that one group will allow is for the milk to be sweetened with jaggery before it is set to make the yogurt to produce a sweet version. no wonder you and monk are so young and healthy! i’m like cathy. i wax and wane on yogurt. when married to bob… years ago … i made our own yogurt … so we ate much of it. i also made my own bread then too! ah. those were the days. not so much anymore. when i do eat yogurt… i don’t get the sugary kind. too sweet. i like to buy the real stuff and add my own fruit. you have made me think i need to be eating some EVERY day! i will! Please google for Tambrams. That is the community to which I belong. The Tambram will have yogurt three times a day if it is available. And, if he is in need of a snack, a little of that with whatever is at hand will do nicely. Funnily, just yesterday I wax eloquent about home made curd to the moderator of a test for carbohydrate intolerance. Unfortunately our bloodline was extinguished about 6 months ago when the curd started having the consistency of toothpaste. We start afresh now. – What’s that with the green chilly? please elaborate. I have written separately to you on the green chilli. I hope that it is successful. Ah you remembered, Ramana! I learned a year or so ago when I was gone for many weeks overseas that I could freeze my starter and boy was I thrilled! I like the idea of a chili in there too, but usually I don’t add anything. I have it in the morning and the odd time at night with a bit of fruit. I too freeze my starter whenever I go out of town on vacations. I am waiting!